With a stay at Tunbridge Wells Retreat in Royal Tunbridge Wells, you'll be within a 10-minute walk of Trinity Theatre and Tunbridge Wells Museum and Art Gallery. This hotel is 10.7 mi (17.2 km) from Hever Castle and Gardens and 12.2 mi (19.6 km) from Ashdown Forest. Relax at the full-service spa, where you can enjoy massages and facials. You're sure to appreciate the recreational amenities, including a health club, an indoor pool, and an outdoor tennis court. Additional features at this hotel include complimentary wireless Internet access, concierge services, and wedding services. 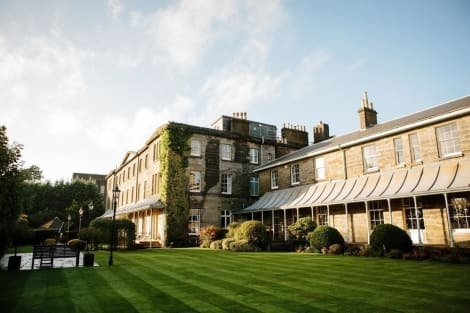 With a stay at Hotel du Vin & Bistro Tunbridge Wells in Royal Tunbridge Wells, you'll be within a 5-minute walk of Assembly Hall Theater and Tunbridge Wells Museum and Art Gallery. This 4-star hotel is 10.6 mi (17 km) from Hever Castle and Gardens and 12.1 mi (19.4 km) from Ashdown Forest. With a stay at Royal Wells Hotel in Royal Tunbridge Wells, you'll be within a 10-minute walk of Tunbridge Wells Museum and Art Gallery and Trinity Theatre. This hotel is 10.4 mi (16.7 km) from Hever Castle and Gardens and 11.9 mi (19.2 km) from Ashdown Forest. When you stay at Anand Lodge in Royal Tunbridge Wells, you'll be within a 10-minute drive of Dunorlan Park and Tunbridge Wells Chalybeate. This guesthouse is 12.8 mi (20.7 km) from Sissinghurst Castle and Garden and 18 mi (28.9 km) from Hever Castle and Gardens. With a stay at this apartment in Royal Tunbridge Wells, you'll be a 4-minute walk from Pantiles and 11 minutes by foot from Assembly Hall Theater. This 4-star apartment is 10.4 mi (16.8 km) from Hever Castle and Gardens and 12 mi (19.2 km) from Ashdown Forest. With a stay at The Victorian B&B in Royal Tunbridge Wells, you'll be within a 10-minute walk of Assembly Hall Theater and Tunbridge Wells Museum and Art Gallery. 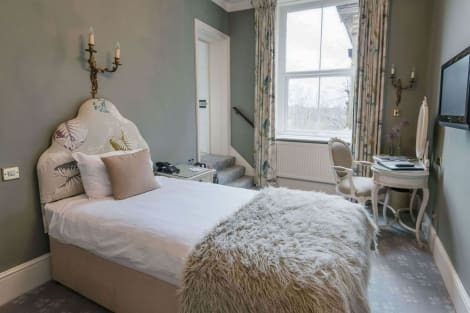 This boutique bed & breakfast is 10.9 mi (17.5 km) from Hever Castle and Gardens and 12.4 mi (19.9 km) from Ashdown Forest. 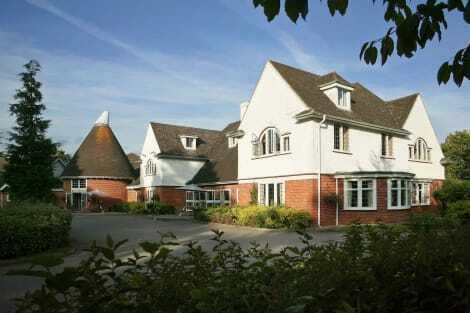 Located in Royal Tunbridge Wells, Danehurst House is within a 5-minute drive of Tunbridge Wells Golf Club and Salomons Centre. This 5-star bed & breakfast is 10.1 mi (16.2 km) from Hever Castle and Gardens and 11.1 mi (17.9 km) from Ashdown Forest. lastminute.com has a fantastic range of hotels in Royal Tunbridge Wells, with everything from cheap hotels to luxurious five star accommodation available. We like to live up to our last minute name so remember you can book any one of our excellent Royal Tunbridge Wells hotels up until midnight and stay the same night.